The page is an attempt to explain the meanings of proverbs through short stories. 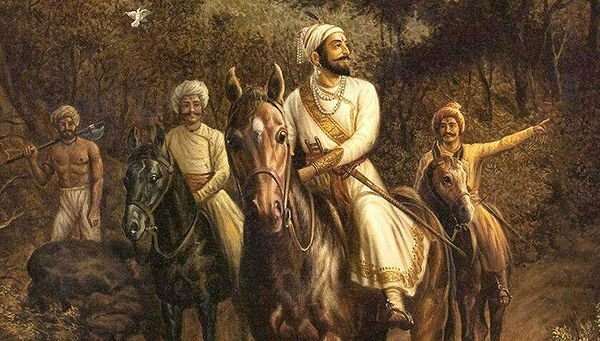 I have tried to bring out illustrative stories from mythology, history, anecdotes etc .HERE COMES ANOTHER STORY WITH A VIEW TO DEFINE PROVERB "haste makes waste"
Shivaji, the great Maratha ruler was with his few soldiers in a forest.
" If we move in a group, we will be easily identified. Let's follow a different route." Says Shivaji who the run and had suffered a setback in a battle with the Mughals. Later he added -" We shall meet three days hence, in the old rest house near Rajgarh Fort"
Despite the protest of his associates Shivaji didn't listen to them and asked others to do the same. He moved on, all by himself. By dust he was tired. He needed food and shelter for the night. After a few miles he spotted a hut which belonged to an old woman. He moved faster till he reached the hut. He saw the old woman was busy cooking food. She was watching a pot boiling on the fire. She raised her head on hearing footsteps. She saw a stranger at the door. She asked "Who are you? Shivaji did not introduce himself. for the danger stalked him, all around. So he said, " A poor traveller".I am very hungry and had been on my feet all day long. I did not have my meal. The old woman took pity at the stranger(Shivaji) and let him in the hut. She made place for Shivaji close to the fire. Being hungry, Shivaji washed his hand and picked up the handful of food from the centre. He wrung his hand in pain. Quickly he dropped the food and waited. "You are doing exactly what Shivaji does ! " The woman said. Really! Shivaji!? Why! Said Shivaji. "Shivaji leaves aside small forts and hurries to capture big ones. He is terribly hasty. He doesn't know that he must move step by step, gain control over the small forts and then attack the big ones. It gets one into big trouble" after a pause the woman added; "you were hasty too like Shivaji. See! Foot served hot, cools faster at the edges. Instead of taking food from the edges, where it is cold, you picked up a handful from the centre. And hence, got your fingers burnt." From the point Shivaji learnt a great lesson from the old woman. He thanked the woman and helped her washing utensils. Then, she made spread a mat on the floor for him to sleep. Next day, early in the morning Shivaji took leave of the old woman. He told her, as he left, " I assure you I won't be hasty. I know haste gets one into trouble. Thank you for teaching me a great lesson." " Good ! Said the old woman. I wish Shivjai could also learnt that lesson. I wish him to see holding absolute power," the woman said. "Shaviaji got the message, Mataji," Shivaji fell at her feet. "What!" the woman said in surprise.
" I am Shivaji! Bless me, Mataji. (mother ) You have shown me the way to succeed. May You be victorious ! and always remember "HASTE MAKES WASTE"
SHIVAJI TOOK LEAVE OF HER AND WON THE BATTLE AGAINST THE MUGHELS. For more some action please click HERE. Till next note from me.